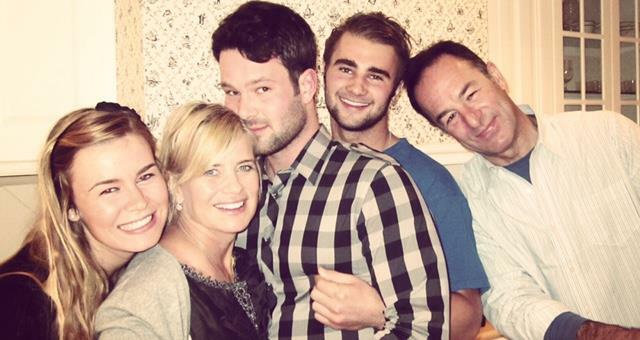 A Look at Days of Our Lives' Mary Beth Evans' Life As a Mother! Mary Beth Evans is most famous for playing the role of Kayla Brady Johnson on 'Days of Our Lives'. She's also played the roles of Sierra Esteban on 'As the World Turns' and Katherine Bell on 'General Hospital'. Throughout her run on daytime television, Evans has shown us on screen the depth of love she has for her children. Likewise in real-life, Evans who is married to Michael Schwartz and is the mother of three; Daniel Luke, Katherine Elizabeth and Matthew Joseph shows us on Social Media just how much of a caring, kind-hearted and loving mom she is. She is a perfect role model for upcoming mothers in today's society - check out some of the highlights of her life as a mother below and remember it's Mother's day tomorrow. We had the best time at my nephew’s engagement party this past weekend. My sister threw such a great garden BBQ party ... see today’s #plankblog for more on this sweet celebration. Soap Opera News: A Look at Days of Our Lives' Mary Beth Evans' Life As a Mother!